Take a look at Nirahua's popular songs. Bhojpuri actor Dinesh Lal Yadav aka Nirahua is one of the highest paid and most sought-after stars of the industry. He has turned a year older today. The actor enjoys a huge fan following and thus, people are showering love and best wishes on him. Dinesh has given many blockbuster films in the past. Now, he has also ventured into the digital world with ALTBalaji’s first-ever Bhojpuri show Hero Vardiwala. In it, he has shared the screen space with his rumoured girlfriend Amrapali Dubey. It is written and directed by Mahesh Pandey. The actor is receiving positive response for playing the role of a cop in the show. He is rumoured to be dating Amrapali for quite some time. From posting crazy pictures to romantic videos, both of them indicated that love is brewing between them. It will be interesting to see how the star has planned to celebrate his birthday. 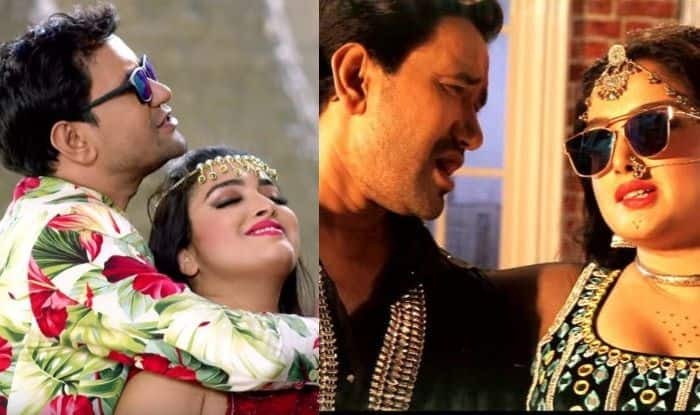 Amrapali and Dinesh have featured in films like Patna Se Pakistani, Bam Bam Bol Raha Hai Kashi, Satya, Nirahua Hindustani 2, Border and Dulhan Ganga Paar Ke. Their films always do wonders at the box office. People are eagerly waiting to know more about Nirahua’s upcoming projects.